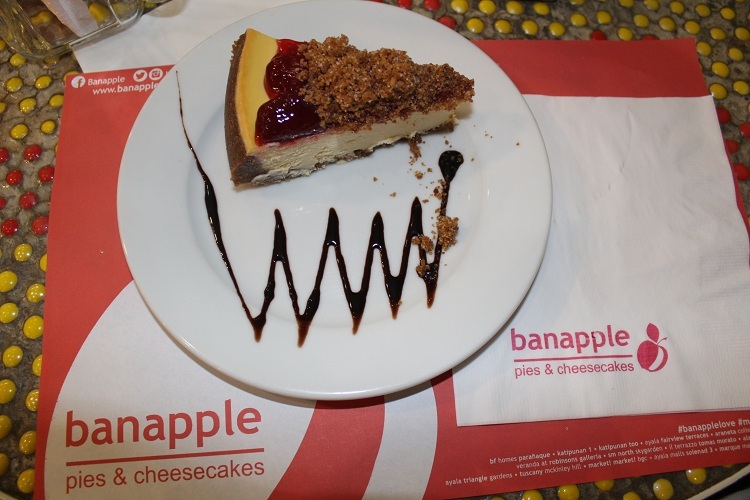 Two days before I traveled here, my husband and I dined at Banapple Pies and Cheesecakes in Market! Market! Bonifacio Global City, Taguig, Philippines. 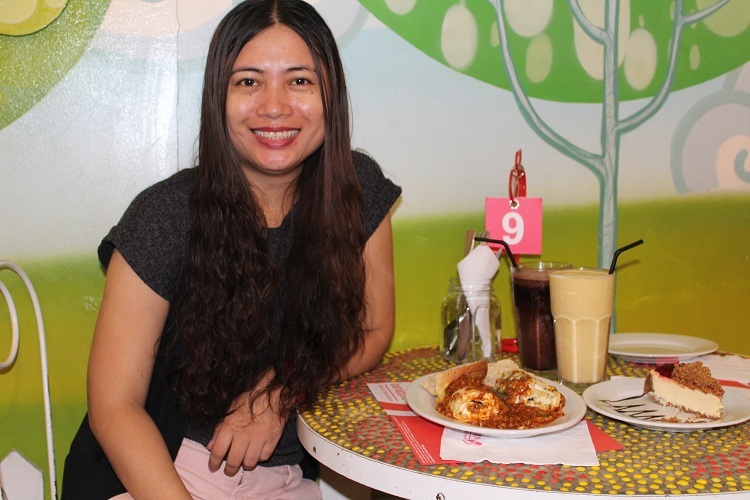 We ordered Pasta Lasagna, Ripe Mango Smoothie, Dark Choco Smoothie and a slice of Strawberry Crunch. 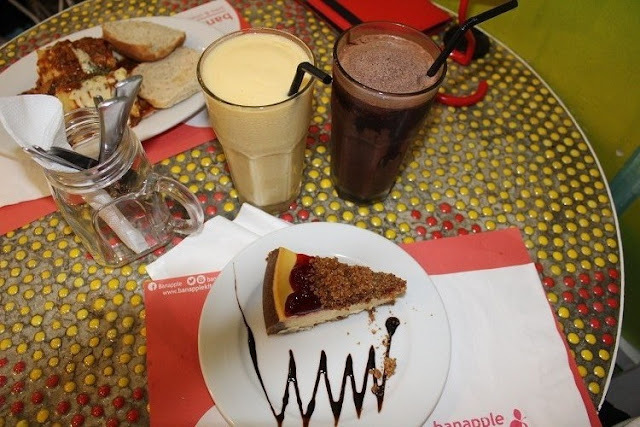 For less than P700.00, we enjoyed delectable snacks at Banapple Pies and Cheesecakes. As my second time to dine at the restaurant and pastry house, it was really awesome. I came back for the Pasta Lasagna and the Ripe Mango Smoothie. 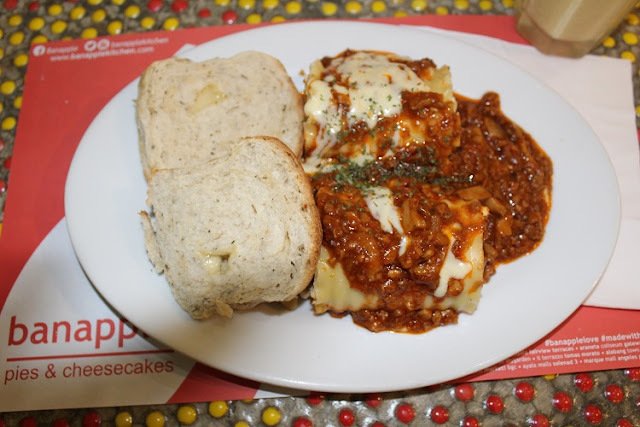 The taste of the well-cooked lasagna is exceptionally delicious. I also like the concept of the dining place. Banapple Pies and Cheesecakes has an amazing dining concept that is perfect for those who like well-designed restaurants. The color combination is truly remarkable.